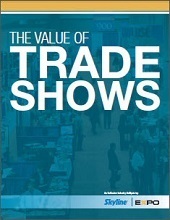 Why do exhibit ors value trade shows? What are their objectives for exhibiting? What benefits do they get from exhibiting? It turns out exhibitors have a lot of great reasons for exhibiting, many that can’t be easily duplicated anywhere else. The top reason exhibitors exhibit at trade shows is to raise the awareness of their company and brand. Nearly 9 out of 10 exhibitors agreed this is a reason for their participation at events. They build their brand, the awareness of their products, and improve the name recognition of their company. Raising awareness is even more important for new companies, new exhibitors, or companies entering new geographical or vertical markets. Fill my pipeline! 72% of exhibitors say they exhibit to get leads from new buyers and prospects. 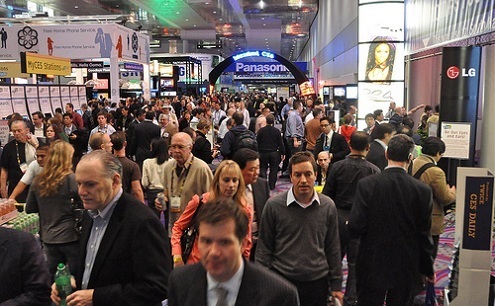 Trade shows are a major method for lead generation for business-to-business companies. Exhibitors bring back piles of leads to fill the pipeline of their sales force. Exhibitors can qualify the leads right at the show and move them farther down the buying cycle. Let’s make a deal! 70% of exhibitors say they exhibit to create and or strengthen industry relationships or partnerships. This demonstrates that trade shows add significant value beyond their value in reaching clients and prospects. Trade shows are where an industry gathers, and it’s often the best time to forge and renew alliances with partners, not just interact with buyers. Of course it is very valuable to see your buyers face-to-face. 65% of exhibitors agree they exhibit to see their current clients. It’s harder every day to get face time with overworked clients while they are in their office, so trade shows give exhibitors that opportunity. And in their trade show displays, exhibitors can reveal new products, cross-sell and up-sell clients on other products, and just make sure everything is okay and that their relationship is strong. Beyond partners and clients, exhibitors also like to see their industry colleagues and vendors. That’s why 58% agree it’s one of the reasons they exhibit at trade shows. It’s a great time to catch up and find out what’s the buzz and pulse of the industry – what are the major issues, what are the hot new products, what companies have been doing well or poorly. Trade shows also offer a chance to build up and strengthen exhibitors’ network, whether it’s to start potential sales, keep tabs on competitors, or find future places to work. More than half of exhibitors say they exhibit at trade shows because their competition is there. These exhibitors want to protect their existing client relationships, and not be left out when attendees are looking for new solutions. They figure that if their competition is at the show, then the clients must be there, too. However, this is a defensive reason to exhibit. Once exhibitors have better measurement of each shows results, and can compare each show’s attendee profile against their ideal client profile, they tend to care less about if their competition is at the show, and more about each show’s ROI and audience match. We’re in this together: 52% of exhibitors agree that they exhibit to support the industry or association. About half of all trade shows are owned by an association, and the revenues from the show supply the majority of that association’s budget. By exhibiting at the show they help their industry association facilitate education and networking of its members, and to fund advocacy and lobbying efforts on their behalf. 52% of exhibitors say they exhibit because it allows them to see many buyers at one time. Think about it – thousands of trade show attendees actually pay to visit the show, walk down the aisles, and then walk by your tradeshow booth! It would take many months of direct sales to equal the number of buyers you can meet with while exhibiting at a trade show. That’s 8 reasons over 50% of exhibitors agree with! Those are the 8 reasons for exhibiting that over 50% of exhibitors agree with. Which is a powerful indicator why trade shows are so valuable – trade shows don’t just provide one thing, they provide many things that marketers value. As an exhibitor, this list may also give you ideas on how to more fully harvest the potential value of trade shows, or perhaps how to better explain their value to trade show nay-sayers.